Al Ameed Plaza General Trading & Contracting Company W.L.L. (AP) is committed to the pursuit of excellence and continuous dedication in improving its business to provide clients with products and services, that fully comply with their requirements. Since our inception in 2004, our focus and dedication applied to specialized segments in the fields of Trading, Food & Beverage, Sales & Marketing, and Real Estate consultancy. 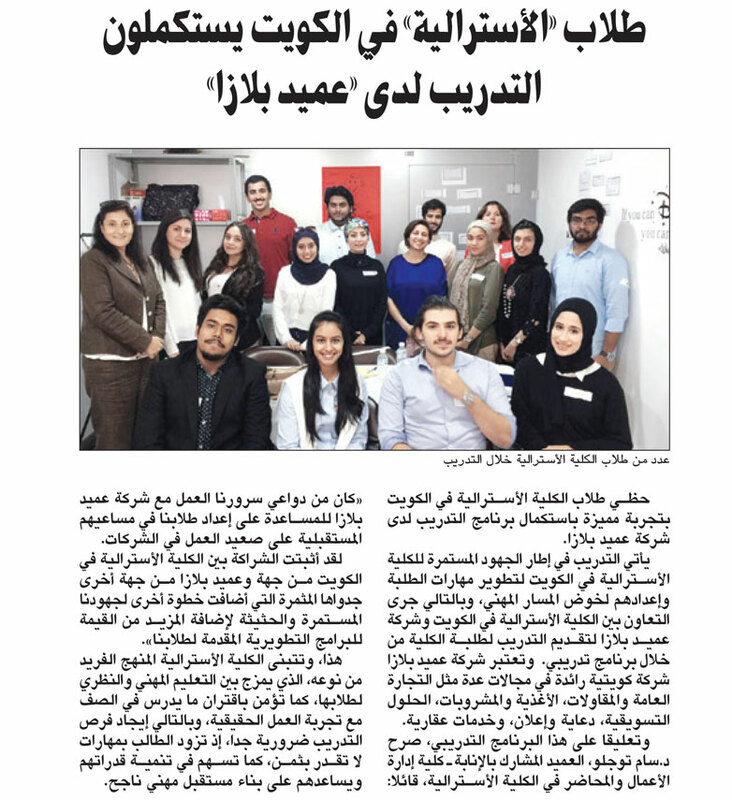 ACK students have completed their 3 weeks internship training with Al Ameed Plaza. Sourcing the ultimate savvy solutions and services that can enhance the over-all work environment and deliverables of any organization in the regional market, through our various fields of expertise. Looking at the region of Middle East from a wider point of view for enhancing major services while being environmentally responsible and a quality compelled company.